For the Immortelle face care collection, L'OCCITANE has concentrated the extraordinary anti-aging properties of the legendary immortelle flower from Corsica, which never fades, even after being picked. Discover the Divine Extract, a serum that associates 7 ingredients of natural origin with immortelle, to help correct all signs of aging for visibly younger looking skin.Scientific innovation: over time, the matrices of cellular DNA change, and the skin loses it's capacity to regenerate: the signs of aging intesify as the skin gets older. 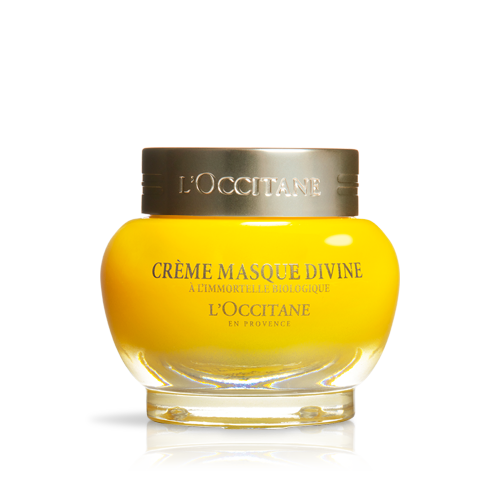 A pionneer in natural cosmetics, L'OCCITANE created a cosmetogenic research program in 2009 to demonstrate the effectiveness of its formulas at the heart of cells (epidermis).